William Shatner has cultivated a career spanning over 50 years as an award-winning actor, director, producer, writer, and recording artist. He won Emmys and his first Golden Globe for his portrayal of eccentric lawyer “Denny Crane” on both The Practice and Boston Legal. He received four more Emmy nominations as well as other Golden Globe and SAG Award nods, and in 2011 received a Governor General’s Performing Arts Award. Shatner’s Raw Nerve, currently airing on Bio, is his own edgy celebrity interview series. Each episode showcases him getting to know his guest on an intensely personal level, touching upon subjects not normally visited on other talk shows. His love of music inspired him to record the critically acclaimed album Has Been. His newest musical project, a space-inspired album Seeking Major Tom, featured a large number of heavy metal covers as well as songs by U2, Frank Sinatra, Queen and Pink Floyd, and was released in October 2011. Off the screen and broadcast waves, Shatner has authored nearly 30 bestsellers in both the fiction and non-fiction genres. His autobiography, Up Till Now, was a New York Times bestseller. 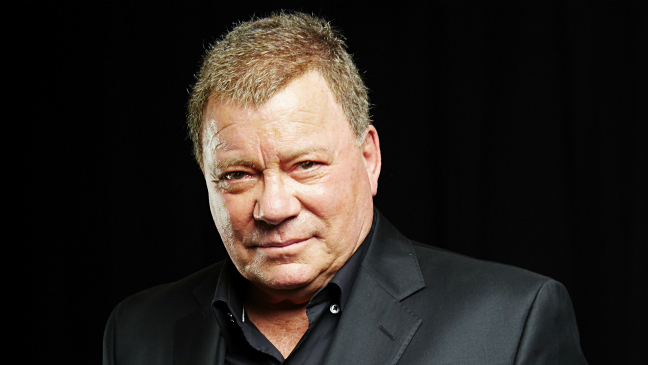 His newest book, Shatner Rules, was released in October 2011. A comic book series – William Shatner Presents – debuted in summer 2009. The series is based on three of his novels, Tek War, Man O’ War, and Quest for Tomorrow, along with a brand new title called Chimera.